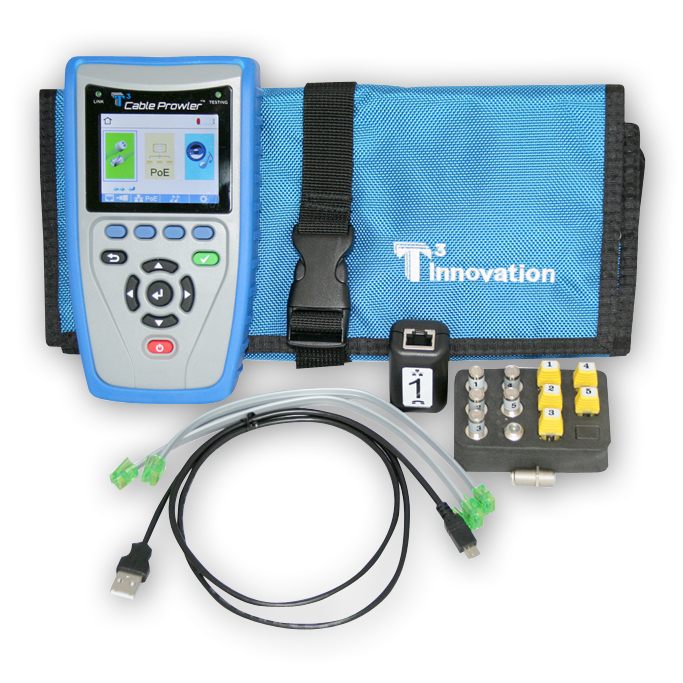 The Cable Prowler combines the functions of a high-end cable tester and length measurement tester, with the capability to identify link status, link capability, and PoE detection. All of this is in full color and internal memory to save results. 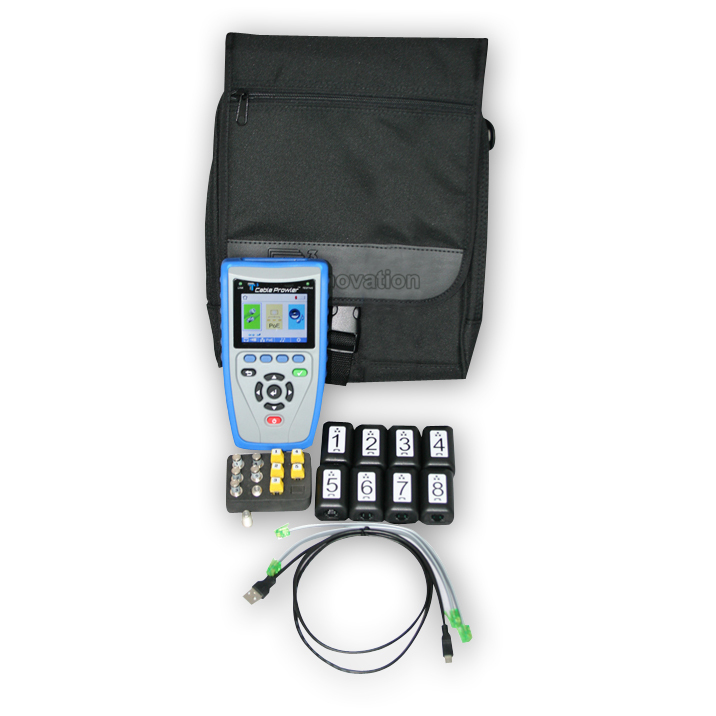 The Cable Prowler™ provides full cable testing on any category network, coax, or telephone cable. It will display wire map, numbered ID remotes, and any faults, including shorts, opens, miswires, split pairs, and reverses. 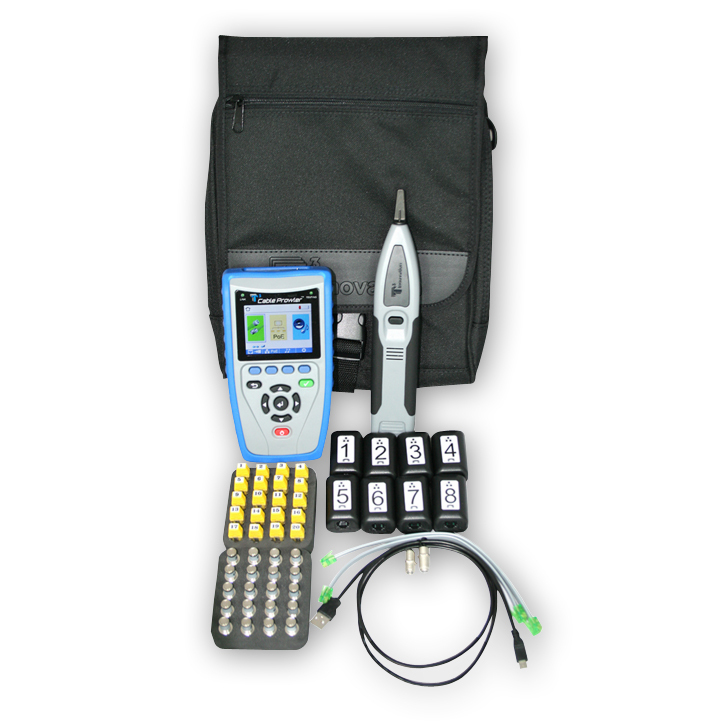 The full-featured Cable Prowler™ measures cable length (using TDR technology) and generates tone levels for signal tracing and cable identification on all pairs, a selected pair, or a selected pin. All of this is displayed in a full color graphical display for easy viewing in any environment. Cable Prowler™ also has the ability to name each cable and save all test results. Cable results can be exported to a computer via micro USB cable for record keeping and printing. The Cable Prowler™ enables quick identification of a network drops link capability and current link status. Cable Prowler™ also detects the presence of PoE on the network drop and what class of PoE per IEEE 802.3 af/at with load test for voltage drop. These network tests can also be saved for record keeping and printing.